Karma and Rebirth: The foundation of Vedic astrology or Jyotish rests on Hindu beliefs about karma and rebirth. The planetary alignment at the time of your birth is a reflection of the karmas that you bring from your previous birth. This beginning karma determines where you are born, who your parents are, your siblings, your childhood and the general contours of your life in this birth. So much of all these is predetermined. Does that mean you are no more than your chart? No—Hinduism and Vedic astrology fully provide for free will within the framework of what is already determined. In fact, if there was no free will, how can we escape the endless cycle of birth and rebirth? Our understanding of the planets in our chart enables us to accept what cannot be changed, change what can be changed towards the ultimate goal of moksha. Inter-connectedness of destinies: Because Hindu culture is very family-oriented with a strong emphasis on dharma (duty), inter-connectedness of destinies is a key element of Vedic astrology. Thus, your chart is not just about you; it is also about your parents, your siblings, spouse, children, even co-workers. An event which is visible in a child’s chart can also be seen in the charts of the parents as well as siblings. People who come in closer contact in mutual relationships or business partnerships will show striking similarities in their charts at appropriate periods. Often, siblings in a family will have common planetary indications relating to the parents. For example, both my son-in-law and his sister have Sun in a dual sign in their charts. Sun in a dual sign can mean multiple marriages for father, which is correct in this instance. Vedic astrology is considered a divine science. The knowledge contained is said to have been revealed to the ancient sages and is part of the vedic sacred texts. The principal text is called the Brihat Parashara Hora Shastra and its authorship is attributed to sage Parashara. It is considered a science because like science, astrological knowledge is ascertained by observation and experiment, critically tested, systemized and brought under general principles. While grounded in ancient texts, practitioners constantly add new and radical interpretations. For example, not till long ago planets in the 12th house was dreaded since it meant loss, isolation, death etc. but now it is viewed more positively because they are seen as indications of foreign travel and settlement. Now everybody wants them! How is Vedic Astrology different from Western Astrology? Jyotish is based on the Sidereal Zodiac as opposed to the Vernal Zodiac of Western Astrology. Vedic/Sidereal Astrology uses the fixed observable stars in the sky whereas Western Astrology is more time based, determining the beginning of the zodiac as corresponding to the start of the Vernal Equinox. In the year 2006, the difference between the two systems is considered to be between 22 and 24 degrees and indicates the difference between the point of the Vernal Equinox and the first point of the constellation Aries. Thus, the tropical sign of Aries corresponds to the fixed stars of Pisces. Which means that in your Jyotish chart, the Sun will be located one sign behind one in your western chart. For example, I was born on July 29 and hence my western sun sign is Leo. However, in vedic chart, it is Cancer. If you want to determine your vedic sun sign, move one sign backwards counter clockwise. Leo---?Cancer----?Gemini and so on. Because of the use of sidereal zodiac, the Sun is not given as much prominence in Jyotish. The Moon is far more important. The Moon represents the mind which is seen as the agency of perception and, consequently, is a major determining factor in how one interacts with the world. The house placement of Moon in one’s chart indicates where a person will play out her karma. Jyotish also does not use outer planets such as Neptune, Plato and Uranus. It uses nine planets from Sun to Saturn and the north and the south nodes called Rahu and Ketu respectively. The most distinctive feature of Jyotish is its ability to predict events in one’s life. 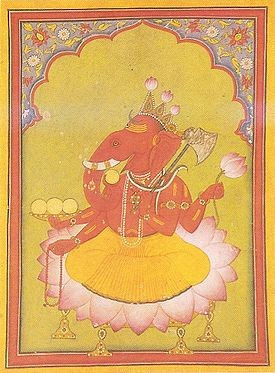 The Dasa System (the planetary cycles) is a unique feature used in Jyotish which indicates a period during which a planet’s influence becomes fully operative. This enables one to give precise predictions during a particular period. Questions like “When will I get married” or “when will I have a promotion in my job” are possible to ask a vedic astrologer and a good astrologer should be able to time those events to the exact date. Another system of delineation in Vedic Astrology is planetary aspects called yogas. This is a unique system for understanding the power of the associations between the planets in their placement from one another. When the planets form yogas, they create specific results which are powerful. *Thanks to Indira Govindan for sharing her vast knowledge on Vedic Astrology with us. Her shop DharmaKarmaArts can be found on Etsy.